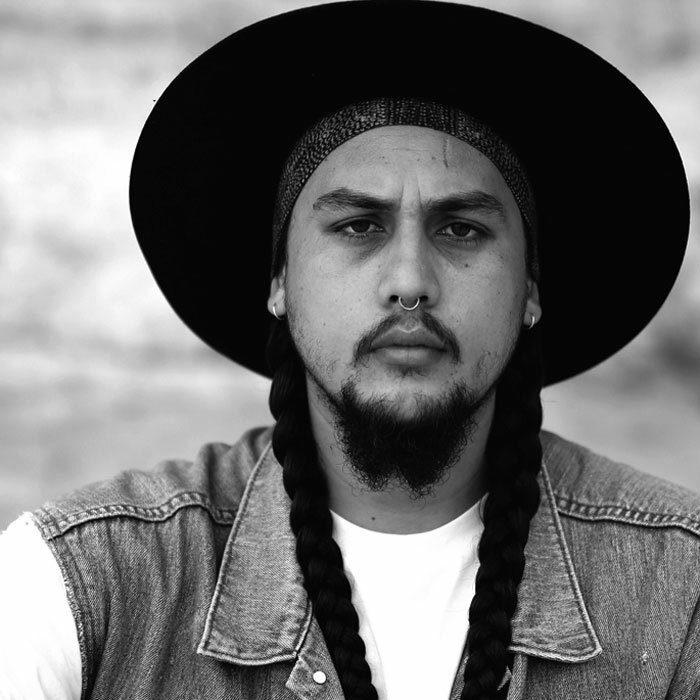 Lead singer and songwriter for indie/alternative band The Medics, environmental and social activist, storyteller, and now solo performer, Kahl Wallis is a young Aboriginal man on a mission. Carving out a solo career with his new album stripped back to raw emotion, he is delivering powerful messages through his music. Kahl identifies with his grandfather’s country, the Wuthathi Nation from Shelburne Bay in Cape York Peninsula, and his Grandmother’s mob, the Lardil people from Mornington Island. In the past year, Kahl has performed around Australia at the NIMAs, Survival Day concert, Woodford Folk Festival and in communities with Jimmy Little Foundation.